« Is ICD-10 Implementation on Track? 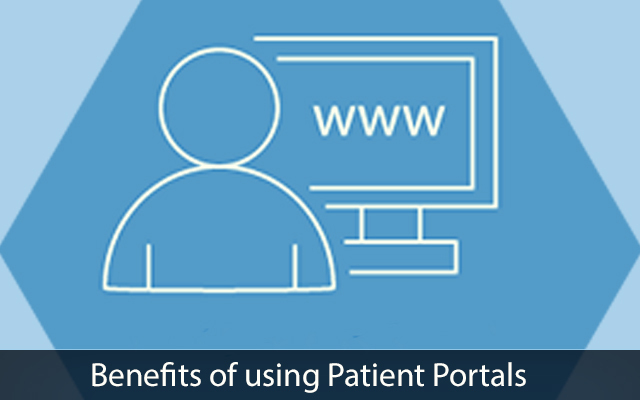 There are numerous benefits that providers are likely to gain from offering their patients’ access to a well-designed and ease–to-use Patient Portal. For instance they might see a surge in the number of patients getting interested in taking appointments once it is online and is easy to setup. Practices can display relevant information in-terms of slot availability with respect to date and time for various physicians to make it convenient for the interested patients to setup an appointment based on their convenience. It also saves people in the administration department from a lot of mundane activities like having to take calls for setup appointments, sending reminders etc. Patient Portals go a long way in improving accuracy in operations. Rather than running a system where multiple handwritten forms need of be filled up during various stages of a patients visit, which consumes a lot of time and energy, the same can be achieved online and at the patient’s convenience. Information related to medical history, allergies, insurance, demographics – all this can be collated beforehand. Another advantage of doing this online is that it avoids repetition .Digital data once entered can be pulled out whenever needed. Also, it considerably reduces chances of errors because of manual work while entering patient or other relevant encounter details. Patient Portals provide an excellent platform for collaboration. The referring and consulting physicians can share valuable information with their patients using Patient Portals. Besides, it also allows the referring physicians to keep a track of the progress made by their patients. Electronic transfer of information makes the whole process very fast and conducive without requiring physical proximity amongst the involved parties. Portals eliminate all hurdles related to distribution. Finally a tool like this goes a long way in forging a relationship between providers and physicians which was missing in a traditional setup. Real time access to information at one’s own convenience makes this model more popular among middle aged and elderly people. No more are they required to fetch their laboratories or wait in queue for their visits to their physicians. Regular communication which can happen between them and the physicians also ensures that timely actions can be taken during treatment as and when a need arises. It is essential that healthcare software testing is meticulously done for the patient portals because of the critical situations it addresses. We provide healthcare software development services. We are glad to share that all our Healthcare developers are certified. If you would like to hire healthcare software programmers from us, we would be happy to help. This Post was posted in Health Care and tagged Clinical software development, Customize EHR system, develop ambulatory ehr ssolutions, develop computerized physician order systems, Develop Electronic Health Records, develop hipaa compliant patient portals, develop medical billing software, develop medical e-learning solutions, Develop medical practice management software, Develop medical practice management system, EMR EHR Software development, emr software developers, emr software development india, healthcare mobile app development, healthcare software development, healthcare software maintenance, hire healthcare software developers, internet-based medical billing software development, iphone medical app developers, Medical Software development, offshore mhealth development, outsource mhealth development, web-based practice management system development. Bookmark the permalink.